Honda Goes Seven From Five In CR-V | A Wheel Thing. It’s a segment that continues to grow and is becoming hotly contested. Car makers aren’t satisfied with just five seats any more, and the seven seater SUV is taking the people mover segment head on. 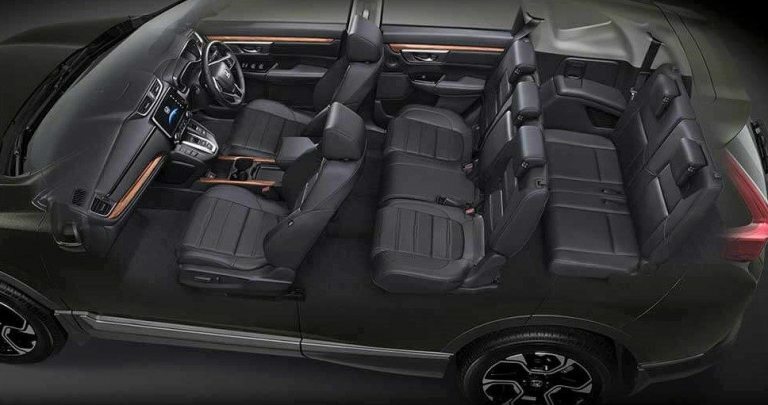 Honda has joined the fray and now has a seven seater. It’s a somewhat clumsy name but the 2019 Honda CR-V VTi-E7 is reasonably priced at $34, 490 plus on roads. 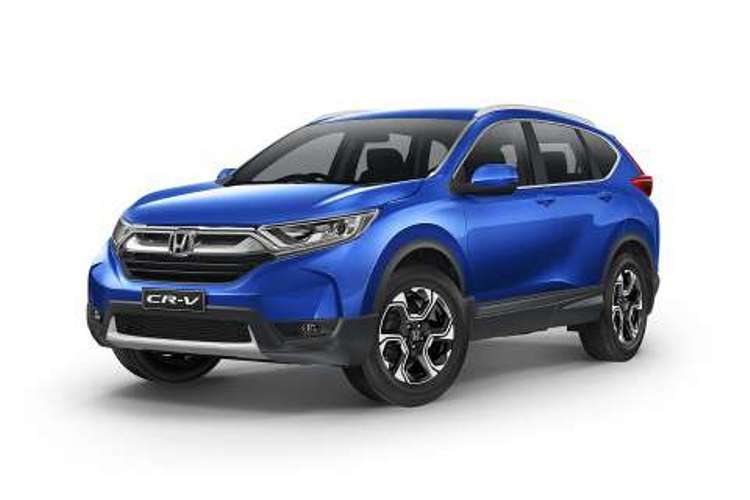 There is a more upmarket version, called CR-V VTi-L7. That empties the bank balance to the tune of $38, 990. Motorvation is from a 1.5L turbocharged petrol fed powerplant. Peak power is 140kW, and peak torque is 240Nm, on tap from 2000rpm through to 5000rpm. That’s a crucial figure considering both the transmission is a CVT driving the front wheels only, and lugging seven people requires a hefty torque figure. Fuel economy is quoted as 7.3L/100km for the combined cycle, and 9.2L/100km for the urban cycle, its most likely home on road. However, there is an extensive features list to sweeten the appeal. 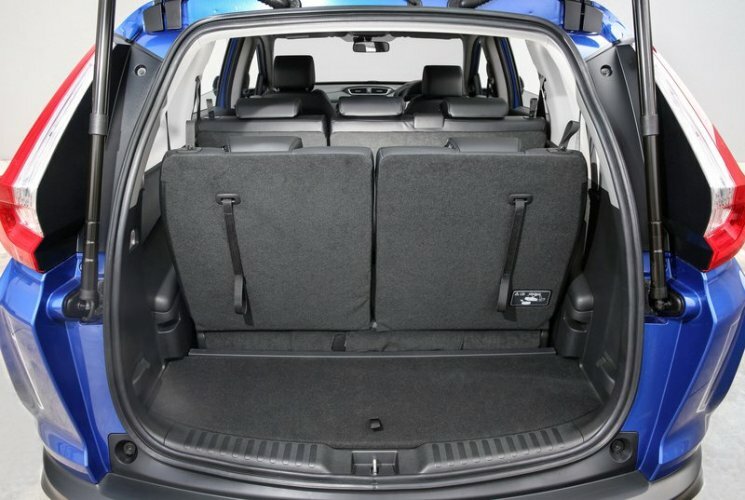 There is: leather appointed seating, 2nd and 3rd row aircon outlets, and dual zone climate control to suit. Rear seat passengers get dual USB ports, and audio & apps have Apple CarPlay and Android Auto. The driver has an eight way powered seat and gets to check out the outside via a three mode reversing camera on a seven inch display screen. The CR-V seven seater rolls on 18 inch alloys and has, thankfully, a full sized alloy spare. Just in case, Honda have opted for a tyre pressure monitoring system. Honda has an extensive range of vehicles, including the re-release of the legendary NSX, and all can be found here. Be the first to comment on "Honda Goes Seven From Five In CR-V"